This tasteful Monarch Specialties manufactured wood filing cabinet will keep your space tidy. Made out of manufactured wood you can guarantee this cabinet will keep documents and other important papers safe and organized. Paper clutter and disorganization stop here with this filing cabinet. 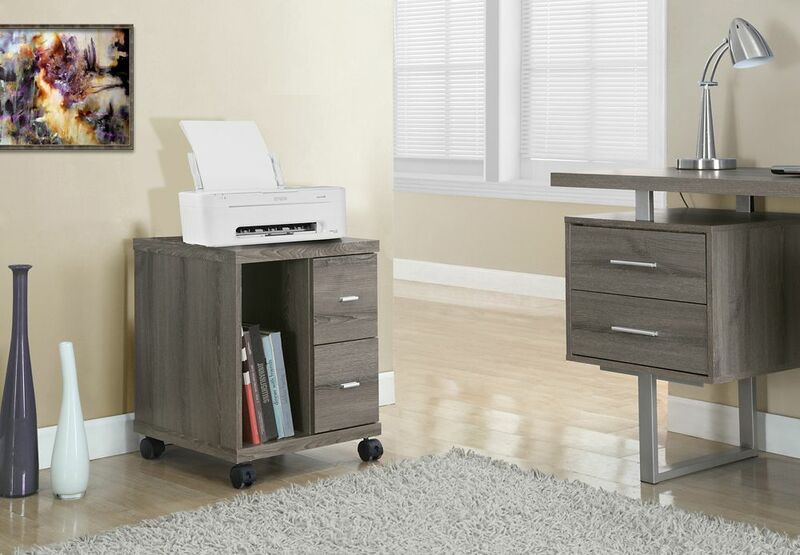 2-Drawer Manufactured Wood Filing Cabinet in Grey This tasteful Monarch Specialties manufactured wood filing cabinet will keep your space tidy. Made out of manufactured wood you can guarantee this cabinet will keep documents and other important papers safe and organized. Paper clutter and disorganization stop here with this filing cabinet. 2-Drawer Manufactured Wood Filing Cabinet in Grey is rated 5.0 out of 5 by 1. Rated 5 out of 5 by Nan from It looks incredible in my living room ! ... It looks incredible in my living room !